This supplement to Engineering Signals and Systems by Ulaby and Yagle contains twelve hands-on projects designed to capture student interest by exploring practical systems. This includes mechanical system modeling, control systems, image filtering and deblurring, AM radio, audio processing, and DTMF decoding. Each project guides students through activities with detailed instructions and video-based tutorials to demonstrate specific techniques for each of the software tools. 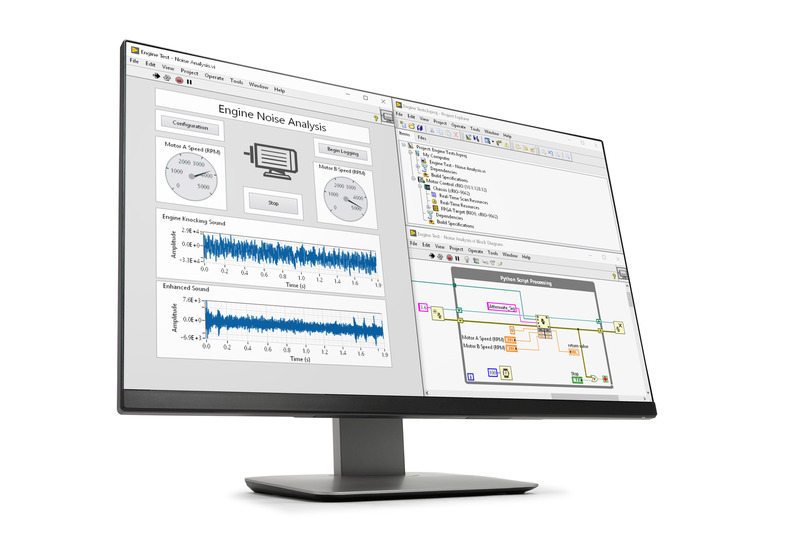 Five of the projects focus on simulation and hardware with NI Multisim and NI ELVIS; six of the projects revolve around NI LabVIEW, and one project combines all three tools. In this project students will determine the impulse response of two first order systems given their step responses, apply graphical convolution to calculate the system output for a non-standard signal shape, and then compare their calculations to simulation and hardware.This project is focused on Multisim and NI ELVIS. A second-order linear constant-coefficient differential equation (LCCDE) models a wide-range of engineering systems. Students will study the properties of an inductor-capacitor-resistor (LCR) circuit with Multisim and NI ELVIS. In this project students implement and study an electrical analog to an automobile suspension system. This project is focused on Multisim and NI ELVIS. Students study a simple proportional control system that speeds up the responsiveness of an emulated DC motor. Students will use Multisim and NI ELVIS to simulate motor control. 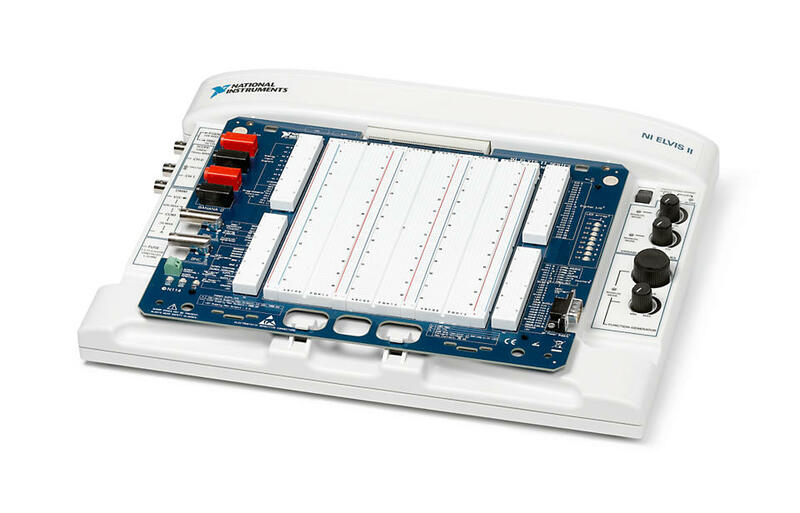 In this project students will create a Fourier series demonstrator in LabVIEW. The interactive demonstrator will allow students to experience a variety of effects due to a finite number of sinusoids. In this project students will build a 2-D image filter based on the Fast Fourier Transform (FFT), and then study the effect of filter parameters such as cutoff frequency and filter order on the processed image. 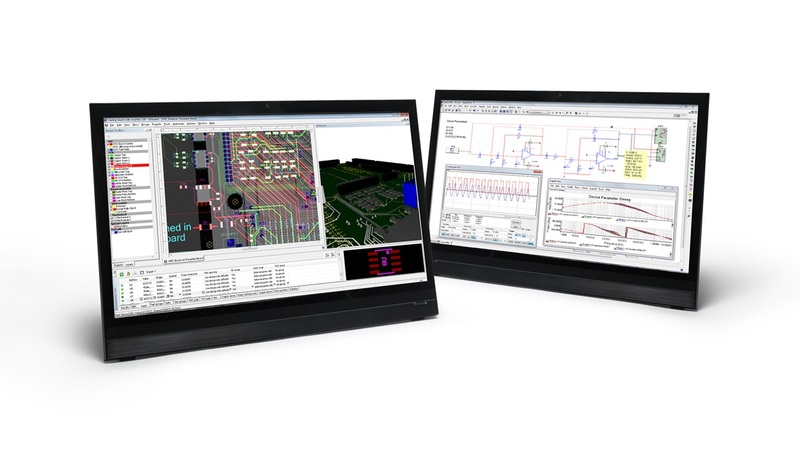 The project utilizes LabVIEW with MathScript RT Module. In this project students will be presented with an image that suffers from uniform motion blur, the special case of constant relative velocity between the camera and subject. With knowledge of the blurring mechanism students will create and implement an inverse filter to deblur the image via LabVIEW. In this project students will design an active Butterworth lowpass filter to meet specified target values for DC gain and cutoff frequency. Once they have confirmed that the filter design meets specifications students will investigate the filter’s ability to suppress high-frequency noise superimposed on a digital-like information signal. Students will create an AM radio simulator that features an audio signal viewer to simultaneously display the frequency spectrum and time-domain representations of any desired signal in the system and play the signal on the sound card. This project will be done using LabVIEW. In this lab students will gain familiarity with the LabVIEW built-in subVI Convolution as a means to convolve small sequences, and then apply this subVI to implement the student's own convolution reverb audio effect. In this project students will analyze audio from the radio communication between Neil Armstrong and NASA Mission Control to determine the frequencies of the “NASA beeps” and then design notch and comb filters to eliminate the beeps. This is accomplished through the LabVIEW with MathScript RT Module. The distinctive sounds from you when you dial a number on a telephone are called DTMF tones. Student will complete a DTMF decoder system based on FFT spectral analysis. This will be done with LabVIEW with the MathScript RTmodule.